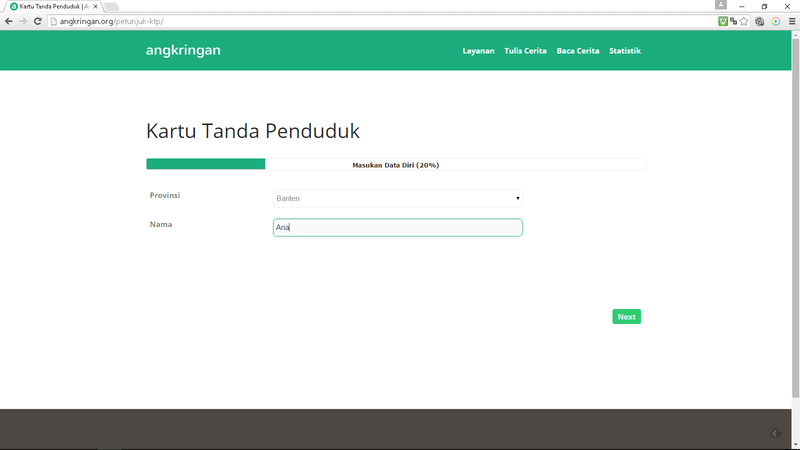 This project was done during Hackathon Merdeka 3.0 in December 2015. 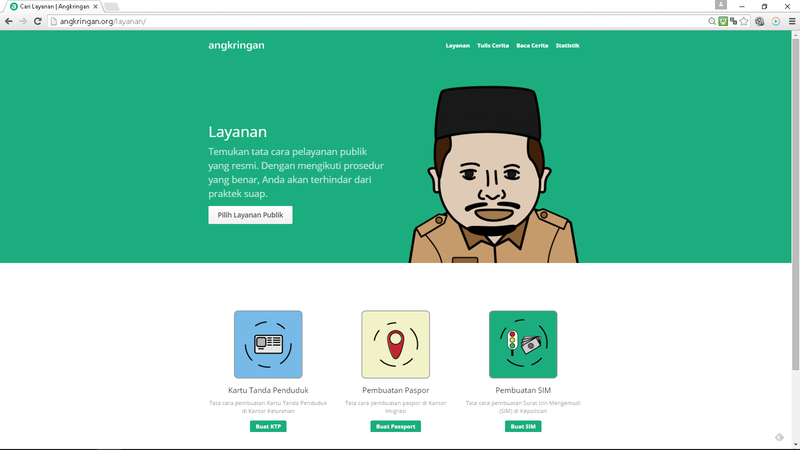 The hackathon’s theme was to fight corruption in Indonesia. Me and my teammates (Firman Azhari, Muhammad Ikhsan, Syarif Rousyan, Muhammad Fadhilah) think that fighting corruption is hard, so we should start small and from the thing that really affect our daily life. One area that fits our target is public service sector. Public service quality in Indonesia is poor especially compared to developed country such as Singapore. Bribery and cheating are happening daily which make the services become worse. We identified that one possible cause of bribery is the lack of people’s knowledge about proper procedure in a public service. 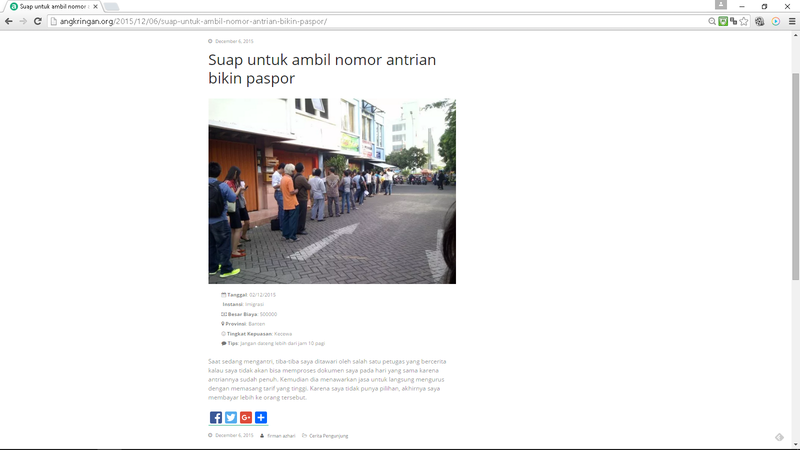 When some people doesn’t know about the correct procedure they are vulnerable to individuals who offer illegal service such as cutting queue order. We formulate our solution to provide a website accessible to public that provides standards procedure of most frequent public service such as making new passport, driving license, and identity card. We provide a step by step guideline and receive user feedback in each step so that we can easily detect in which step bribery is potentially occurred. In addition to step-by-step guideline we also provide a story sharing system for user to share their experience and tips so that other people can learn from it. 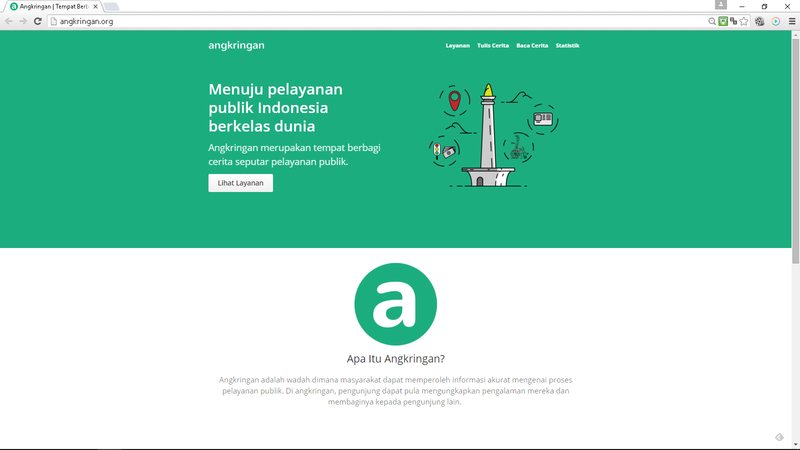 We call the website angkringan.org to remember a place where we hangout and share our daily life while enjoying our delicious meal.